Biking culture, long a fave mode of transportation in European cities, has caught on in the U.S. But biking in the sky at a height of 213 feet, connected by two skyscrapers? Sounds daunting but was in planning in Denmark for 2016. That is until the idea for Copenhagen Gate was abandoned in late November for safety concerns, according to The Guardian. “I could talk all day about the security challenges by having 24-hour public access to a bridge of 65 meters above ground,” stated Michael Nielsen, spokesman for the developers, as reported by The Guardian. Development plans are now being redrawn. Still, it is fascinating to see what almost could have been. 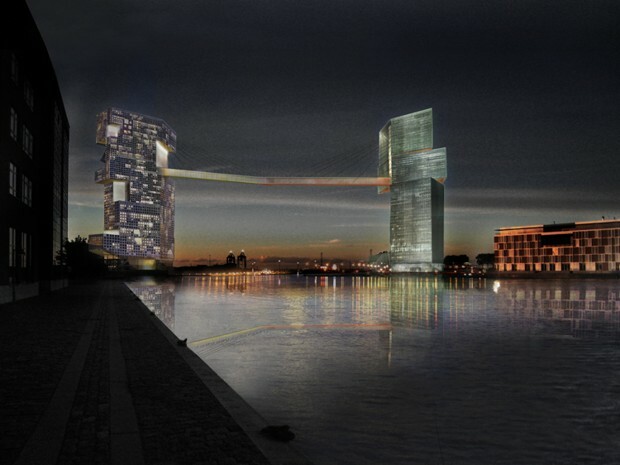 The architect of the so-called Copenhagen Gate is an American, Steven Holl, who also designed the mixed residential and office towers connecting the innovative cycling and pedestrian infrastructure. 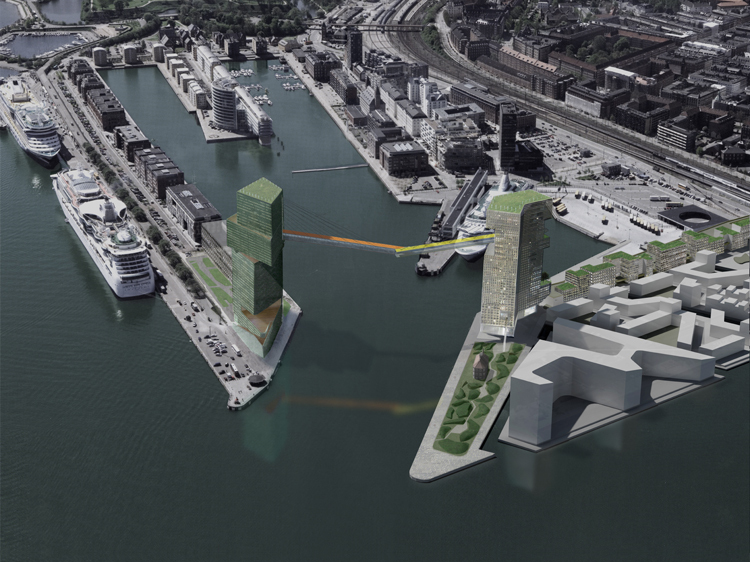 The project spanning Copenhagen’s harbor was supposed to start in 2016. 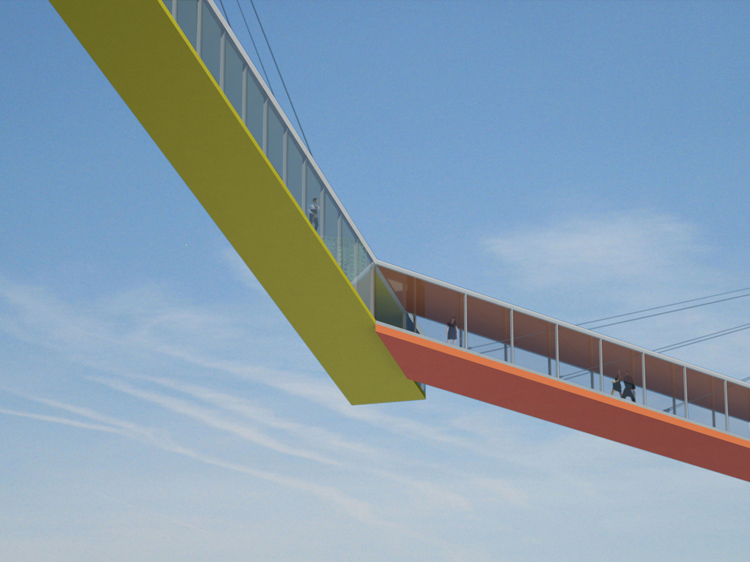 A regular height bridge wasn’t an option, as it would block tall ships passing through. Copenhagen also has a law that all new housing has to be within 500 meters of public transportation. 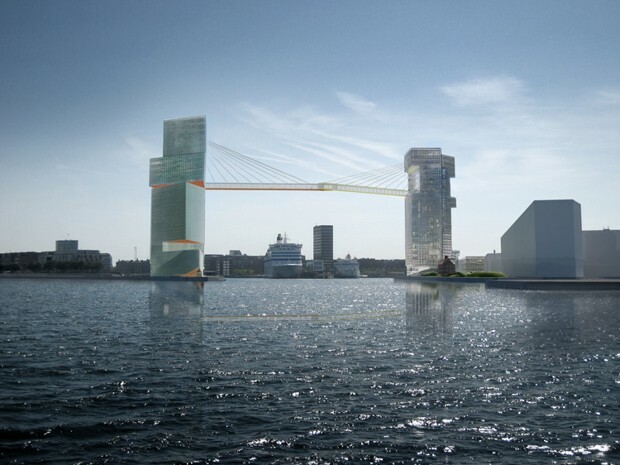 According to the Holl Architects’ website: “The design for the dramatic new harbor entrance to the great city of Copenhagen is based on a concept of two towers carrying two bridges at two orientations.” Meeting at an angle, the cable stay bridges look like they’re shaking hands in the sky. The towers would house restaurants, cafés, offices and a hotel. Colors were inspired straight by the harbor such as container orange. Critics raised the issue of impracticability, as cyclists actually would have had to dismount their bikes and take an elevator up and then down again on the other side. Then there were safety and security concerns. But the new structure with its awesome views would certainly have been a stunning landmark in Copenhagen’s cityscape.